Have you been having a problem improving your website’s conversion rate? If you do, then we are here to assist you, to help you know the factors that might have caused your e-commerce conversion rate to sink, as well as to guide you on how to improve your website conversion rate. We know it’s hard, as you surely have invested an ample amount of your time, money, and energy to build the perfect site, as well as to drive website traffics. Also, you might have fine-tuned your PPC advertising campaigns. You might have even come to the point where you had a 450% increase last year. However, for some reason, your bounce rate became too high, while your conversion rates went low. Certainly, we cannot deny how crucial conversion rates are in determining your business profitability, your website’s future success, and in determining if something is not working. So knowing the reasons behind the decrease or increase in your e-commerce conversion rate, you would be able to pinpoint the mistakes you did and be able to answer the questions below. What had been the problem? These are the questions that might have been running in your mind, as you contemplate about the decrease in your website’s conversion rate. But primarily, the cause of the decrease in your e-commerce conversion rate might have been due to the common design mistakes which you take for granted, and your too complex transaction process. Whether if it is a complicated checkout process or a slow inventory search, if your web design ends up further confusing the sales process, it is more likely that your customers would just be a few clicks away from the competition, resulting in you losing more and more customers. To help you understand, identify, and answer the questions you might have been asking to yourself regarding what went wrong, we are here to guide you. As we delve deeper on the topic, we would give you some e-commerce website design tips, effective e-commerce design choices, and tips on how to improve your e-commerce website. So, listed below are the common design mistakes, which prohibits from improving and optimizing your e-commerce conversion rate. But nonetheless, the bottom line here is that proper thinking must be employed in pinpointing the certain concerns that underlie your website’s low conversion rate. Here are some mistakes a lot of people often commit. An effective e-commerce design is one that is not too complicated, but at the same time not too bland or too simple. However, lots of website owners still choose to make use of templates that are excessively designed. There are just lots of things going on with the template, that it becomes so hard to look at. But at the same time, there are also those who utilize templates that are too generic, with nothing new to offer. As Visual Scope Studios puts it, this is one of the main downfalls of a lot of websites. They instantly create a site without properly evaluating things and carefully planning everything. Sometimes, they instantly venture in incorporating excessively designed templates, only to make their website seem classless and messy, and hard to understand. But most of the time, they immediately go for templates that are generic and affordable, which actually do them more harm than good. Why is this so? It is due to the fact that utilizing templates, that are too generic, only makes your website look just like everyone else. 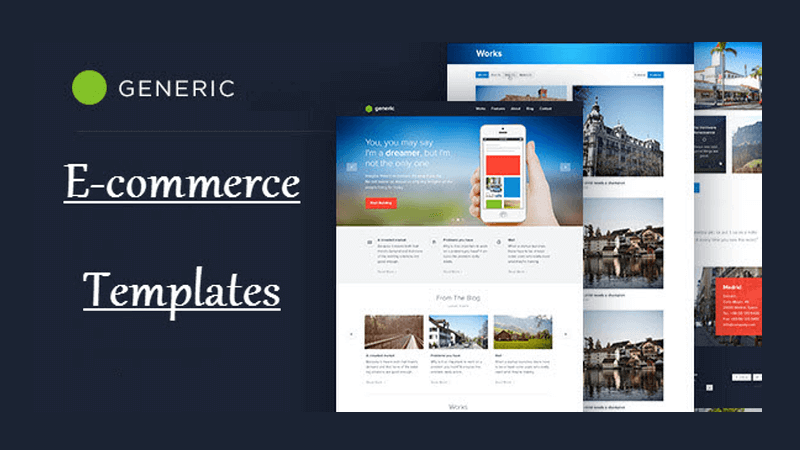 Moreover, a lot of generic templates do not have any advanced customization capacity that could help them shape up and enhance the traffic flow, preventing them from having an improved conversion rate e-commerce. Solution: To aid this, take heed of this e-commerce website design tip, that is, not to pick a template that is too flashy or too generic. Moreover, you can likewise employ an e-commerce conversion rate optimization, so as to turn more of your visitors into buyers. In that way, you would be able to improve your e-commerce conversion rate. Most of the time, your visitors are not interested to read your whole text and scan through every word on your website, they simply want the main key points. The excess use of text that is no longer needed, discourage users to actually dismiss your website and proceed to others. Solution: Do not put or write too much on your website, when you know that it’s no longer needed. Don’t extend the words for the sake of extending it, but rather, be concise when writing texts. Simply choose the most critical and essential details first to easily have a better overview of what you are doing, and from that, you utilize a plausible and precise messaging so as to accentuate the major key benefits. Aside from that, you must likewise anticipate the usual problems the customers encounter, just like shipping issues and the like. And lastly, you should never force your customers to navigate the site to find answers to their questions. That is exactly what it takes for your website to be a good e-commerce landing page. It must be structured in such a way that your visitors would easily be able to access the key information they need to make a sound decision. That’s one way on how to improve your website conversion rate. Having a low inventory would make your visitors have an impression of uncertainty in the products you offer on your website. It makes them think that you are unprepared in case of a sudden increase or decrease in the demand of your product, causing them to back-up. That is why maintaining a higher inventory is absolutely necessary for e-Commerce sites. It makes people think that you, as a manager or a website owner, have a lot to offer. And that, in the case of your visitors, they have lots of options to choose from. Solution: Let’s take, for instance, Amazon. If you notice, you can see that they always add or reveal the product availability in their website search results. That, in a way, causes the people to trust their product, that there would always be a stock for them to rely on. That’s how simple the solution is. You just always have to have an adequate amount of inventory, not too little and not too much, to cater your visitors’ needs. By doing so, you can optimize your e-commerce conversion rate. Fundamentally, e-commerce conversion rate optimization involves putting group based discounts, offering free shipping, fast and accurate product search, and built-in banner placements. So employing these would also mean increasing your e-commerce conversion rate. A mobile conversion-optimized website is more likely to have a better and improved e-commerce conversion rates. This is because many people rely on their mobile when shopping online, but then, only a few sites have a mobile conversion-optimized website. In the recent study conducted by Smart Insights, they inferred that in regards online sales, 70% of buyers use their desktop to buy, 30% use their mobile phones, and 15 percent, their tablet. That 30 percent is significant, so by having a non-mobile friendly conversion site, it means losing more potential visitors and clients. Solution: Again, the solution is simple. Another way on how to improve your e-commerce conversion rate simply makes a mobile conversion friendly website. It’s a very simple solution, but then can radically change how things would go for your website. Now if your website is hard to access, in the sense that it has no chat options nor help desks that could help its customers, clients, and online readers, then that website is doomed to fail. Customers need answers as early as possible, and having none means losing your potential clients and visitors. It is, and would always be, essential that your customers, clients, or online readers are treated in a way that would make them feel like they are special because they really are special. Online shopping, if that’s the main focus of your website, is all about convenience. Solution: Time is precious, perhaps, we would all agree on that. 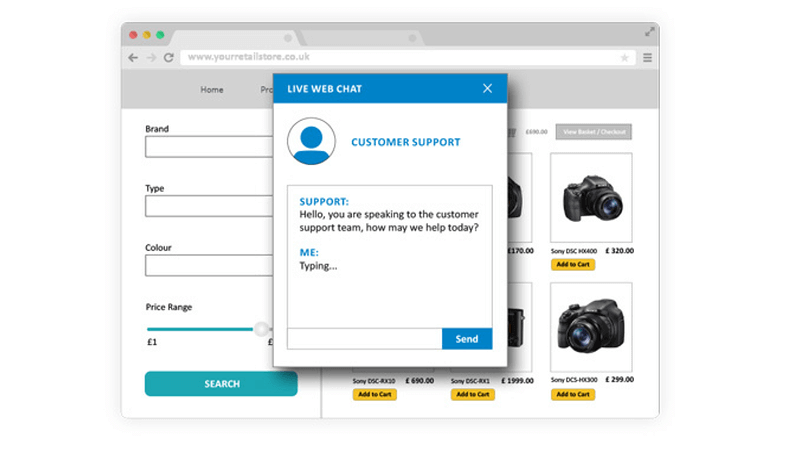 Given a live chat or any chat for that matter, it could provide a better and more in-depth assistance to your customers’ service needs. Certainly, this would help improve your e-commerce conversion rate, as it would make it easier for your visitors and clients to contact you in real life, therefore avoiding possible abandoned carts, increasing checkout, and improving e-commerce conversion rate. They just have to encode your contact details and then you just have to make quick immediate responses to them. So, that’s one way on how to improve your e-commerce website.